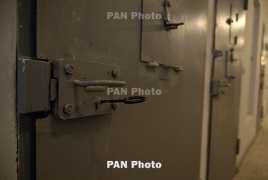 Seven Iranian prisoners were released in Armenia following a general amnesty by the government, IRNA reports. According the Media Department of Iran’s Embassy in Yerevan, the move took place "in line with Iran’s active diplomacy in Armenia and contacts with relevant Armenian police, security and judicial officials." The move is also aimed at promoting friendly ties, the source said, noting that freedom or extradition of other Iranian prisoners is being studied within the framework of the Armenian government’s general amnesty and agreement to extradite convicts between the two countries.